SACRAMENTO, Calif. (CN) — Below the Oroville Dam, a water-pump failure at a Feather River fish hatchery killed up to 300,000 juvenile Chinook salmon Wednesday night, California officials said. California Department of Fish and Wildlife employees arrived at 6:30 a.m. Thursday and found enormous amounts of fish dead from low oxygen levels. The salmon die-off was caused by a faulty electrical wire, Fish and Wildlife said. “Early loss estimates suggest 200,000-300,000 fall-run perished in this event. A rapid response likely saved thousands if not millions more fall-run Chinook at the facility,” the department said in a statement. 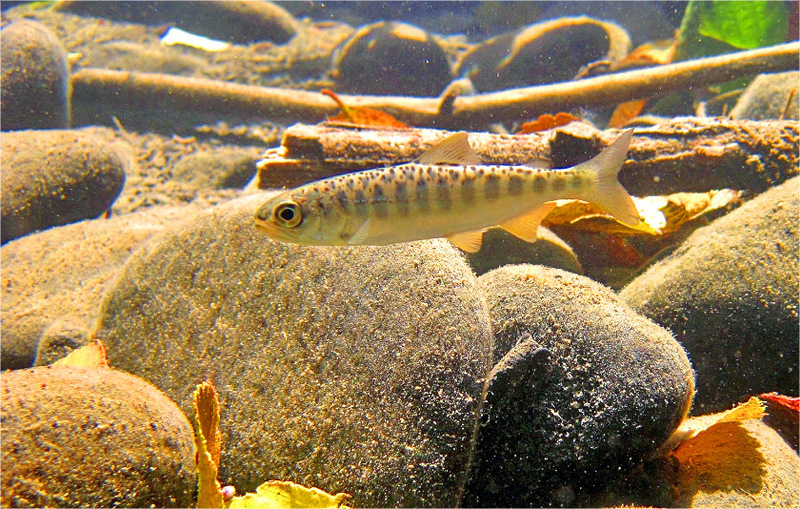 The main Oroville hatchery raises and releases up to 9 million juvenile salmon a year. Millions of fall-run Chinook salmon fry and endangered steelhead trout were evacuated in February from a hatchery near the Oroville Dam after its spillways failed and threatened the hatchery’s water quality. The hatchery draws water from the Feather River and the debris from the spillway failure muddied the water supply. State biologists and volunteers rescued the juvenile fish and eggs from the suddenly turgid river water. The salmon were transferred downstream to the smaller Thermalito Facility and Fish and Wildlife said the fish that survived Thursday’s pump failure will remain there until they are large enough to release into the Feather River. The hatchery failure came one month after officials recommended enhanced salmon fishing regulations due to a record low number of adult Chinook salmon expected to return to West Coast rivers this fall. With salmon populations hampered by warm river temperatures and diminished food supply, the Pacific Fishery Management Council has proposed closing commercial fishing in parts of Southern Oregon and Northern California, to protect dwindling endangered Klamath River Chinook salmon. Salmon fishing is a critical component of California’s $1.5 billion commercial fishing industry and the state has dedicated more than $225 million in the past decade to habitat restoration, according to the Nature Conservancy.